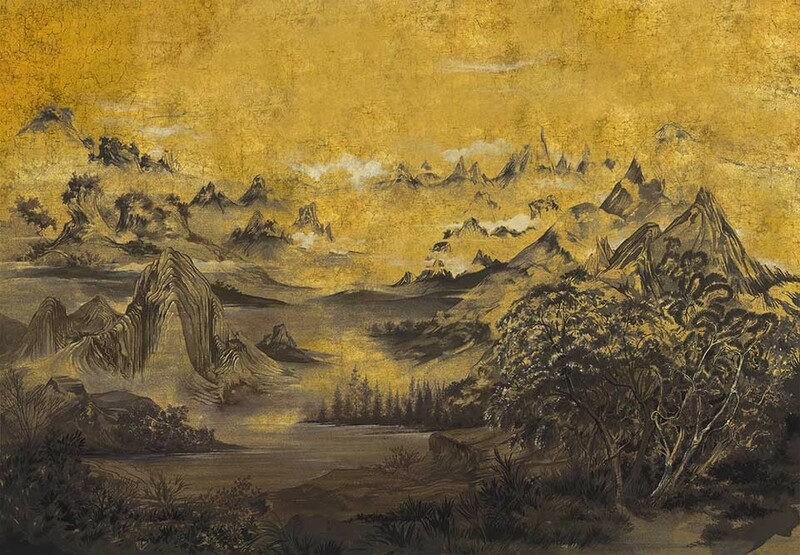 A classic chinoiserie design of a beautiful mountain landscape, this unique wallpaper is a not to traditional Chinese styles. 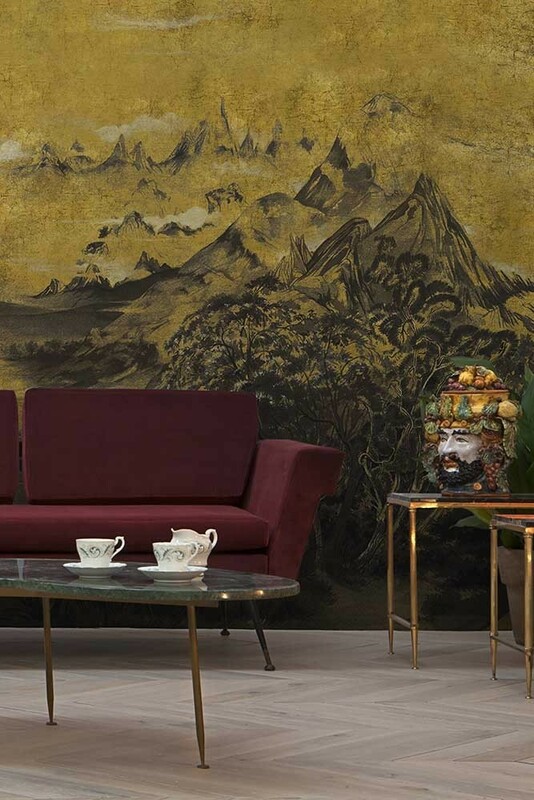 An incredibly beautiful digital print wallpaper mural, the mustard yellow Mountains mural measures 2.8m in height x 4m in width and is printed onto non-woven back paper. Please note, this wall mural has a 2-3 week delivery time. But, the reason why we think that you will particularly love this Chinoiserie wallpaper is because of the sense of tradition, history and elegance it will bring into your home. Traditional style wallpapers like this Mountain Landscape Wallpaper will help to inject a timeless quality into your interior design. Wall murals like this ought not to be hidden away. The aim of the game is to create impact, so hang this Chinoiserie scene wallpaper mural centre stage, such as behind your sofa in your living room, in the entrance hall or in your bedroom. You could even be a little unexpected and hang this elegant East Asian style wall mural in your kitchen for a super bold and eclectic look.